Aspire to be a leader in business, policy or research? The Bachelor of Economics (Advanced) is a uniquely structured and specialised degree for students who want to stand out in their field. benefit from small-group work, special activities and events with distinguished visitors. Note: You must maintain a GPA of 5.0 or you’ll be required to transfer to the Bachelor of Economics. Conversely, if you initially enrol in the Bachelor of Economics you can transfer into the advanced degree after one, two or three semesters if you achieve a high enough GPA. You might specialise in maths and statistics and become an econometrician, working in logistics and modelling transport infrastructure. You could write pioneering policy around education, taxation or mental health. Perhaps you’ll use behavioural economics to encourage people to recycle, or research the potential impacts of a universal basic income. 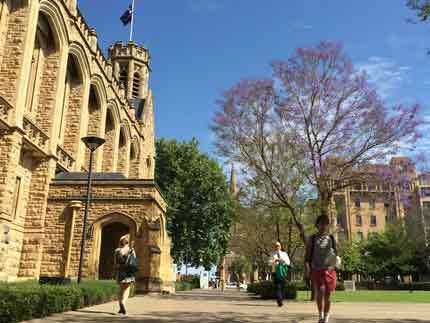 Year 12 applicants must obtain an Australian Tertiary Admissions Rank (ATAR) of 95 or higher (or equivalent). advanced training in economic analysis and research. Employers will also be aware of past graduates' reputation for outstanding performance. The Bachelor of Economics (Advanced) provides a springboard into leadership positions involving research, policymaking and consultancy. 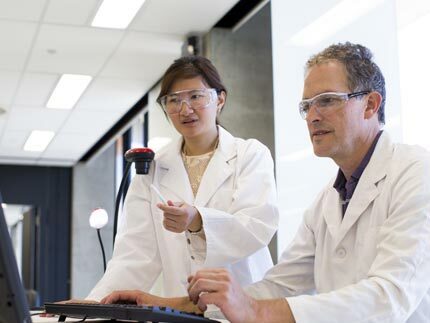 It is also an excellent pathway (via honours) to PhD study, and a career in academia. It may be possible to secure a work placement through the Professions Internships program. Your program has been designed to provide you with the opportunity to add a global experience to your studies. You can do this by incorporating a study tour or a semester exchange into your study plan. The best time to go on an exchange is in Semester 1- Year 2, Semester 2 - Year 2, or Semester 1 - Year 3. If you want to go on exchange, the easiest way is to structure your degree plan so that you can take all electives during your exchange semester. However, there are some courses you can take at partner institutions that will count as core course credit. Please see the example below and contact the Global Study Coordinator for more information. 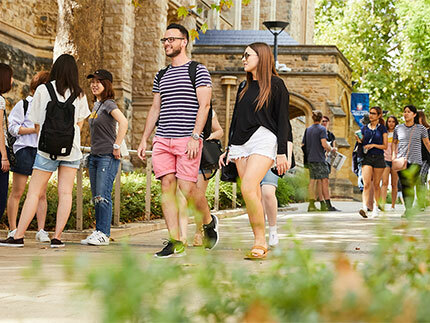 Also make sure you check the Global Learning website for a full list of the University of Adelaide exchange partners, application dates and other key information. The Bachelor of Economics (Advanced) program contains compulsory courses designed to give students a highly developed understanding of economics and advanced research skills. The compulsory courses include the three program-specific advanced courses: Advanced Economic Analysis I, II and III. They cover the central areas of economics and complement the standard core courses in microeconomics (how consumers and firms behave and how markets work), macroeconomics (the growth and stability of the whole economic system) and econometrics (the statistical tools for economic data analysis). The compulsory courses make up approximately half of the degree. Like the conventional Bachelor of Economics, the remaining components of the program consist of optional or elective courses chosen from a large pool of courses from Economics or other areas. Unlike the conventional Bachelor of Economics, students in the Advanced degree can also obtain majors in Finance, or Politics and International Relations. In addition, study plans for studying for the Bachelor of Economics (Advanced) concurrently with other degrees (e.g. Law or Engineering) are available. To remain in this highly competitive program, students must maintain a high grade point average (GPA) throughout their candidature. The optional Honours (fourth) year involves the writing of a research report or thesis together with advanced coursework in macroeconomics, microeconomics and econometrics. Unlike the conventional Bachelor of Economics, students in the Advanced degree can also obtain a major in Finance, Social Sciences* or Politics and International Studies. It is also possible to study the Bachelor of Economics (Advanced) concurrently with other degrees. If students do not want to formally major in any of the areas above, however, they have the flexibility to specialise in another area of economics (e.g. environmental economics). And they can enhance that specialisation by taking courses with the same focus, but from other disciplines (e.g. environmental studies). * The Social Sciences Major will not be available to commencing students in 2019. This is an indicative study plan and subject to change. Study plans for studying for the Bachelor of Economics (Advanced) with a Major or concurrently with other degrees (e.g., Law or Engineering) are available. For further details, please see the Study Plans page of the Professions Support Hub. *Depending on the results of a diagnostic test, students who have not completed mathematics to at least SACE Stage 2 Mathematical Studies (or equivalent) may be required to complete Introduction to Mathematical Economics (Basic) I before attempting Introduction to Mathematical Economics (Advanced) I or any Level II economics core courses. The course assumes no previous study of mathematics and covers topics relevant to economics undergraduates. Students choosing an additional major in Finance replace ECON 1010 with two other maths courses. Please refer to the study plan for a major in Finance. Assessment is based on a range of methods. Typical examples of those methods include examinations, tests, individual or group assignments, projects, presentations, online quizzes and tutorial work. Study plans are available for studying for the Bachelor of Economics (Advanced) concurrently with other degrees (e.g. Law or Engineering). Students interested in taking concurrent degrees are strongly encouraged to seek further information from the Professions Support Hub. 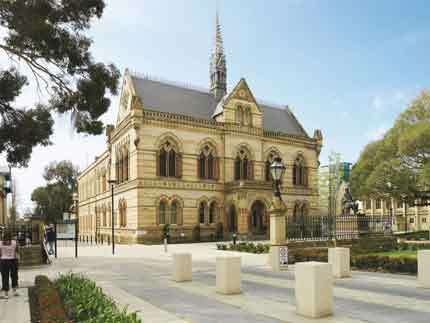 "As a Law and Economics (Advanced) student I have greatly enjoyed my time at the University of Adelaide. I have been presented with a whole range of unique opportunities to take part in such as attending talks given by guest lecturers and attending workshops to prepare me for life after university."